In 2011, former Congresswoman and 2008 Green Party candidate for President, Cynthia McKinney, took a delegation of observers to Libya to monitor NATO's purported humanitarian intervention. Prefaced by Ramsey Clark, this collection of essays includes scholarly and legal analysis, as well as personal accounts by witnesses to the NATO bombardment of Tripoli. This timely book offers both analysis and eyewitness accounts of the NATO assault on a helpless civilian population it had a UN mandate to protect, and the massive propaganda campaign that made it possible. It responds to the many questions left unanswered by a complicit mainstream media, such as: Why Libya, not Bahrain, Yemen or Egypt? What was life in Libya like under Gadhafi? What is the truth about the so-called "Black Mercenaries"? What about Africom's Plans for Africa? 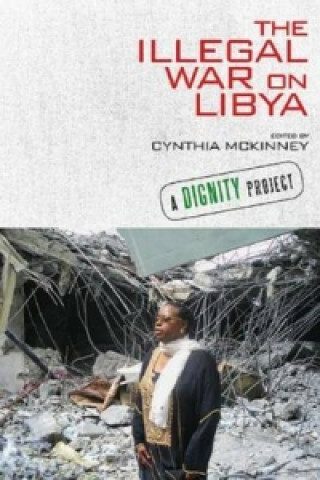 Cynthia McKinney and two other contributors to this volume were in Libya during the period of the NATO assault on Libyan cities, among the few independent voices to report on the tragedy.